Place crackers on a baking sheet, make sure you have a match for each cracker and put the match to the side. 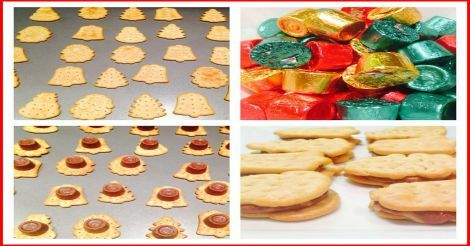 Unwrap a rolo and place on each cracker. Place in oven at 350 for 3-4 minutes until chocolate is soft. Take out of oven, place matched cracker gently on top of the rolo.